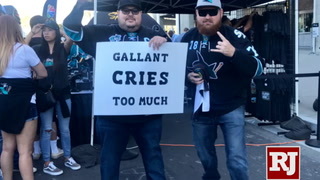 They’re in. 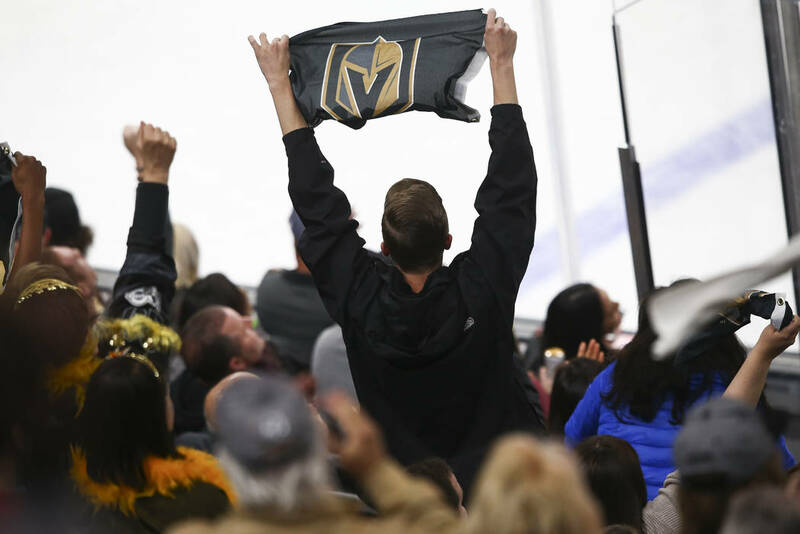 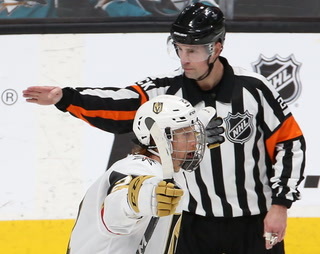 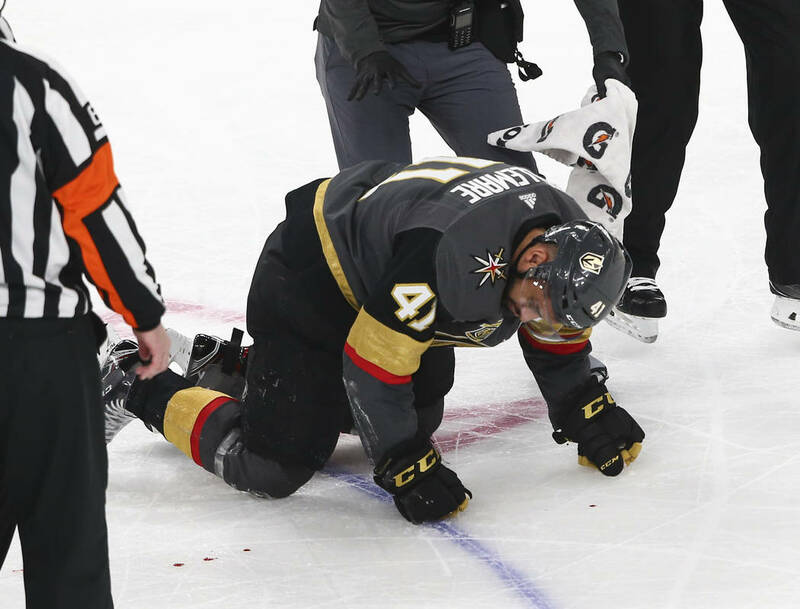 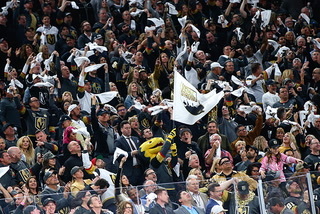 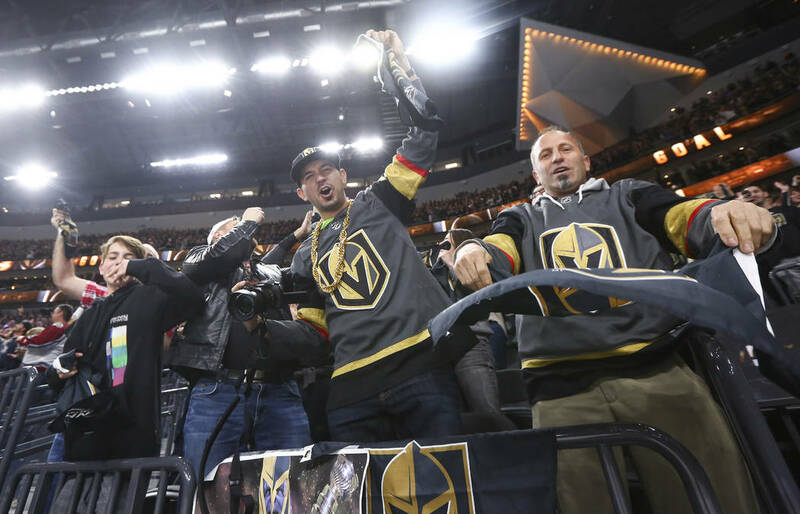 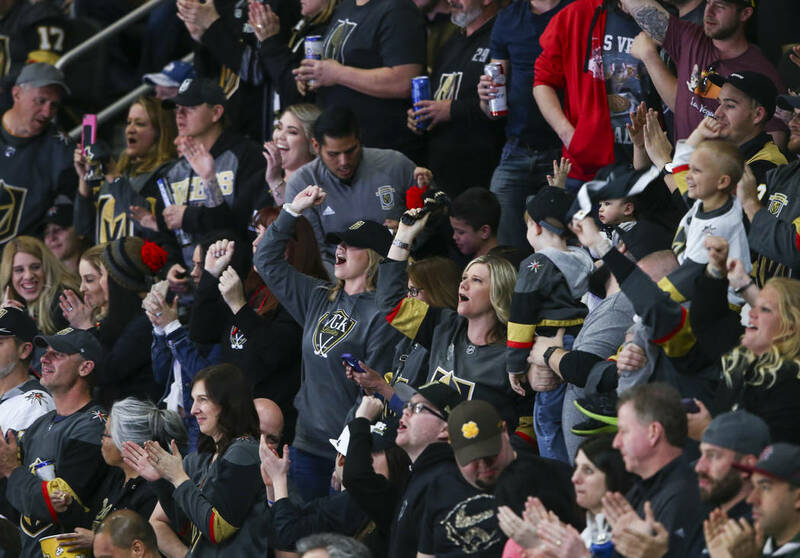 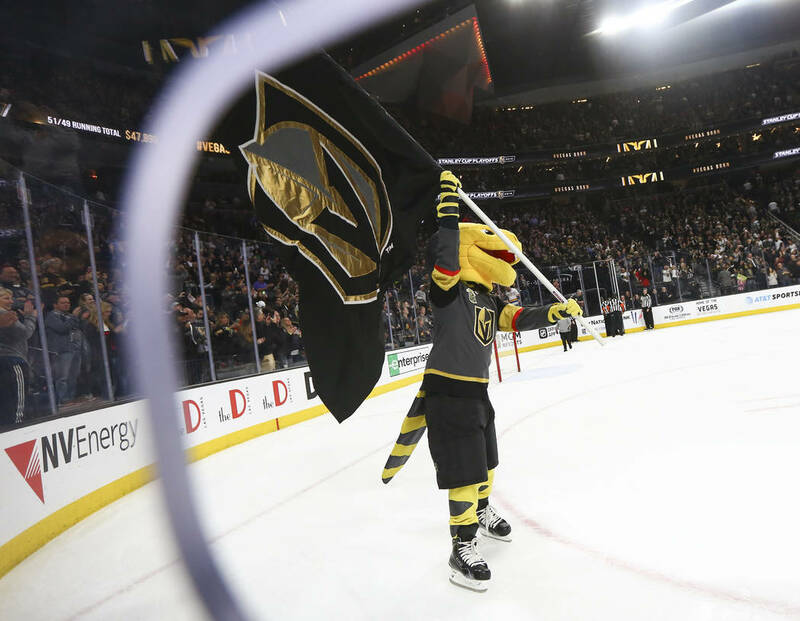 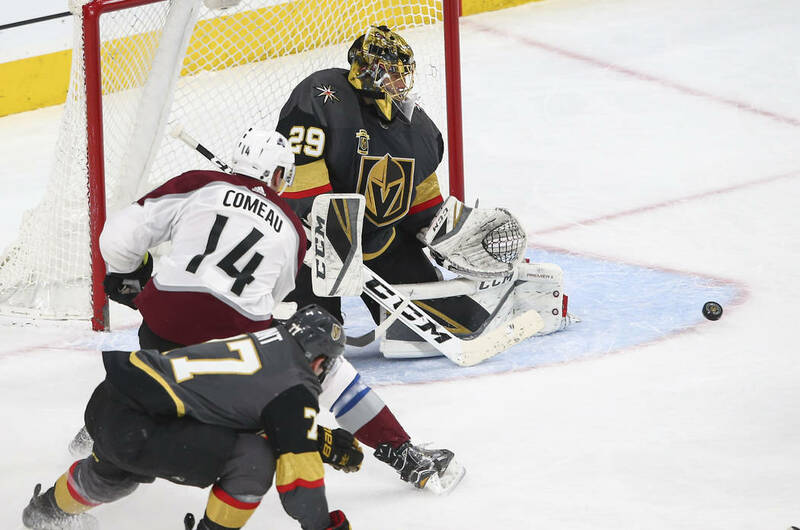 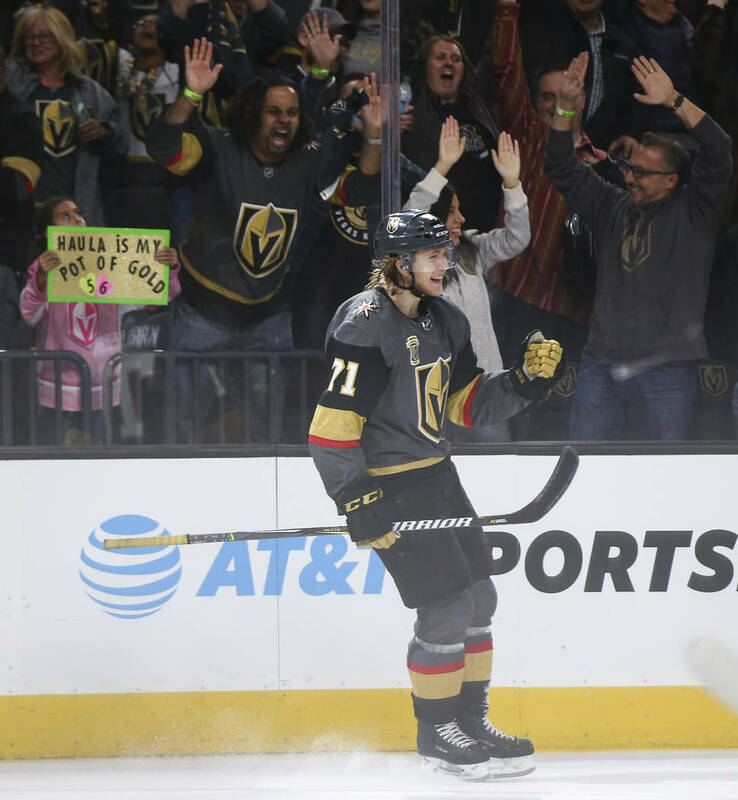 William Karlsson reached 40 goals when he scored into an empty net with 15.4 seconds remaining and the Golden Knights officially clinched a playoff berth with a 4-1 victory over the Colorado Avalanche on Monday at T-Mobile Arena. 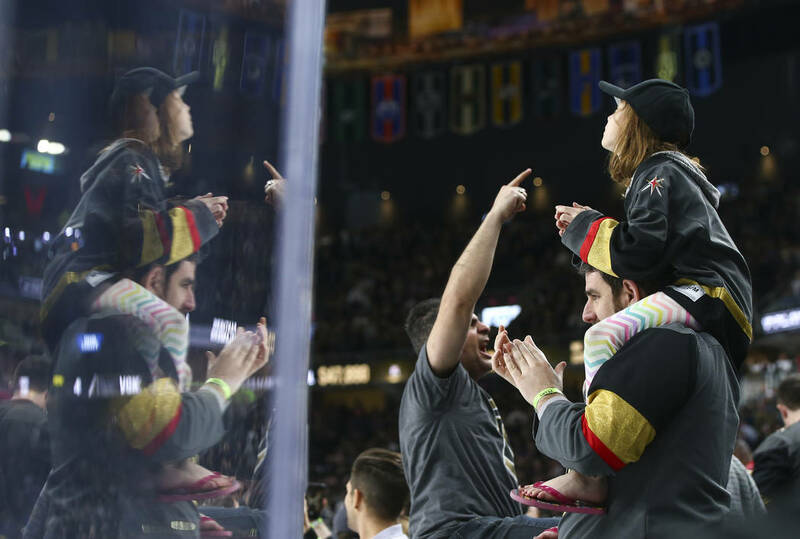 On a night of milestones, one stood above the rest. 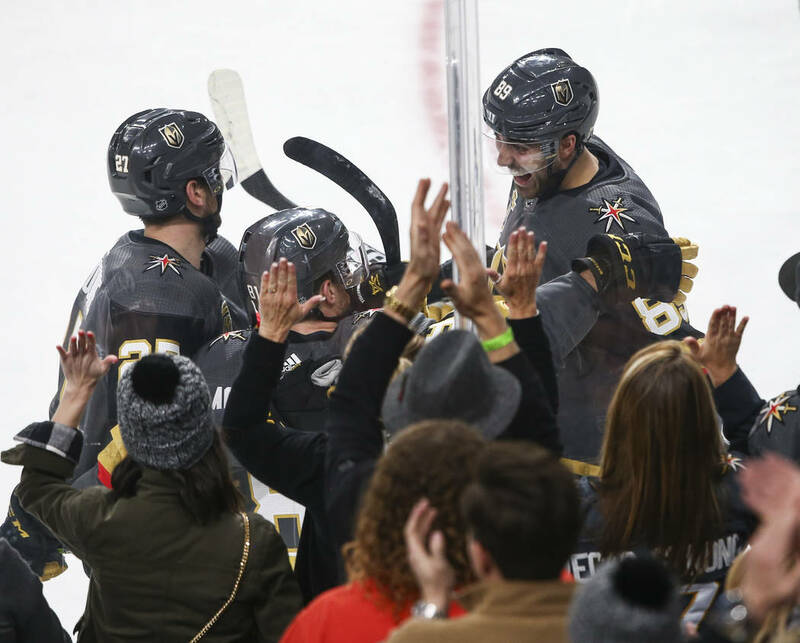 The Golden Knights officially are in the playoffs. 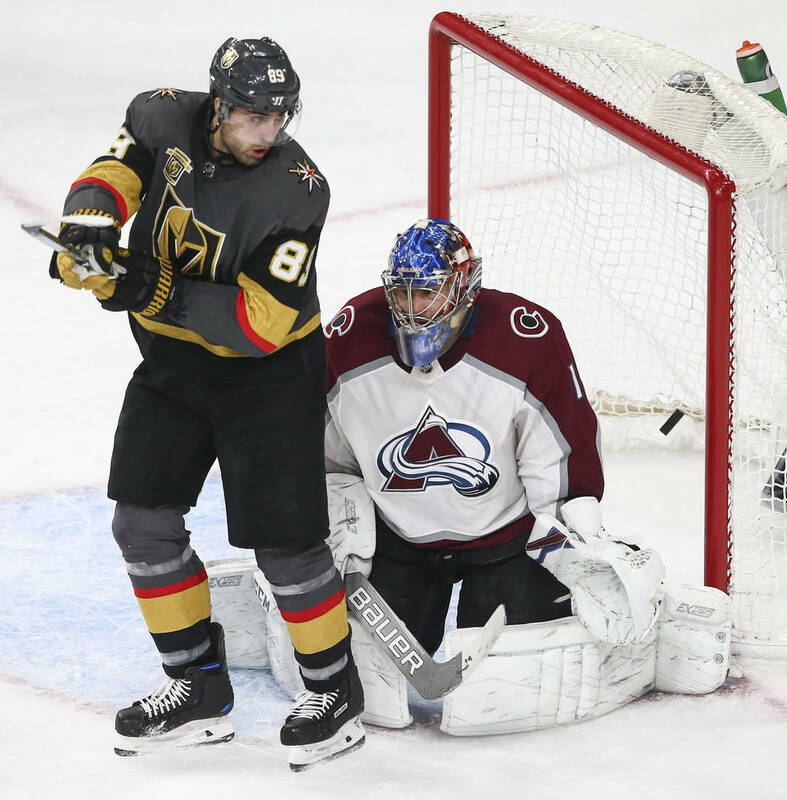 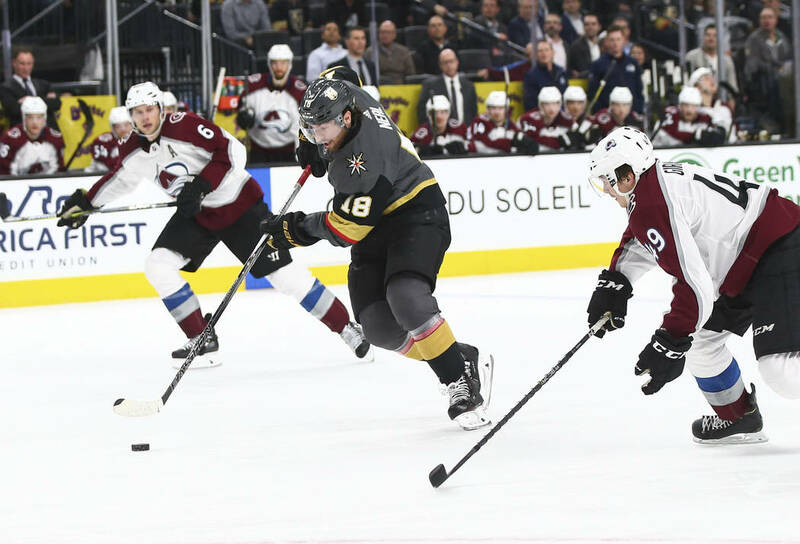 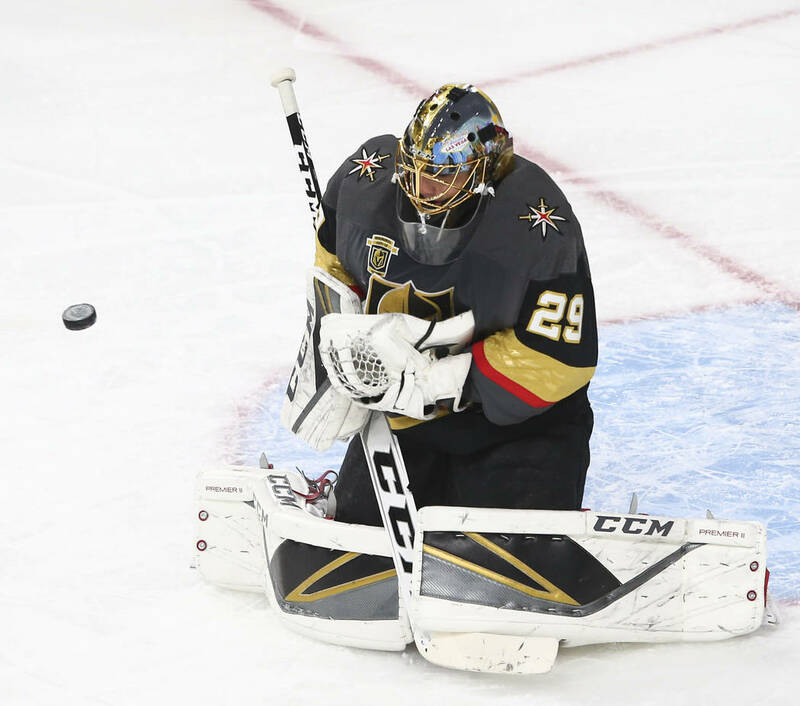 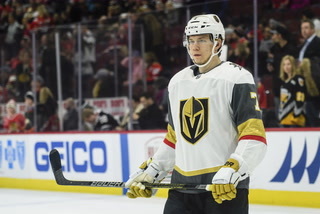 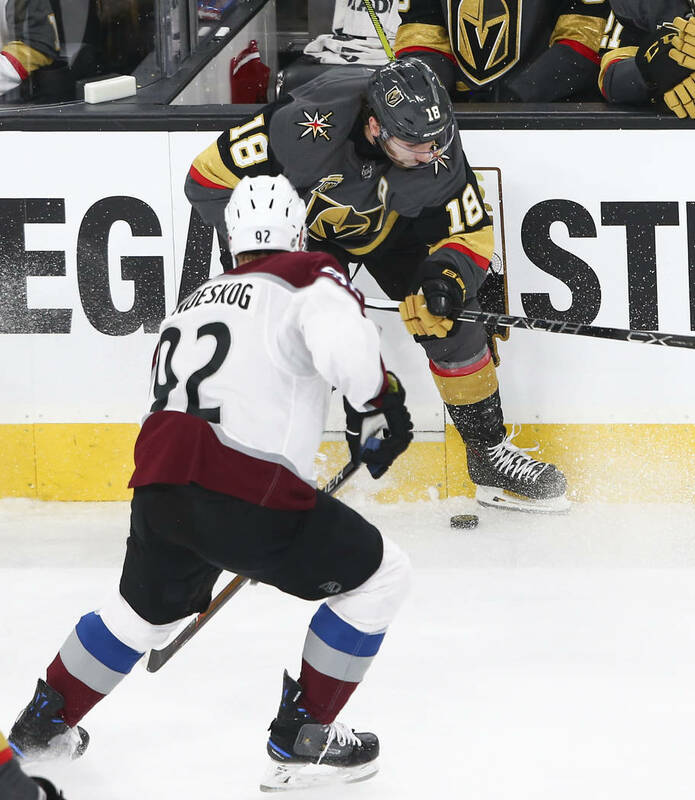 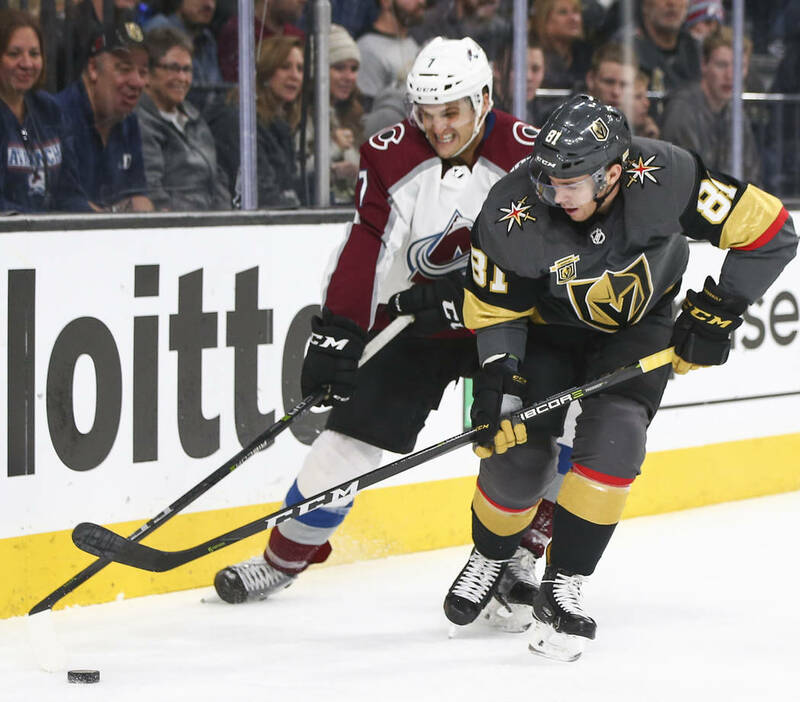 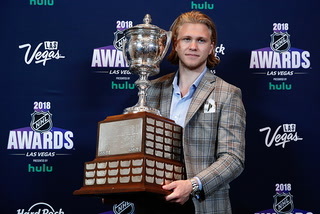 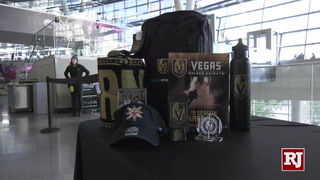 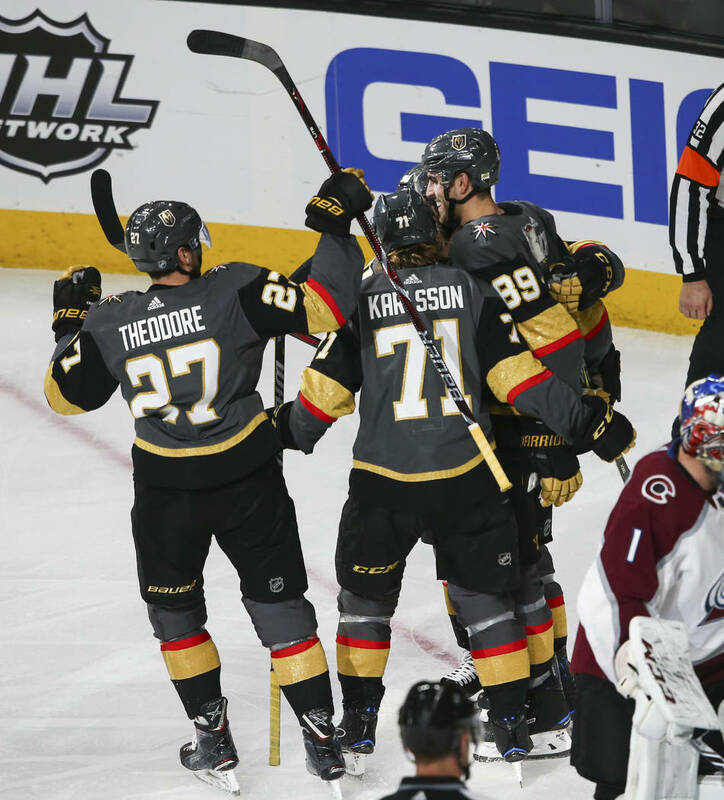 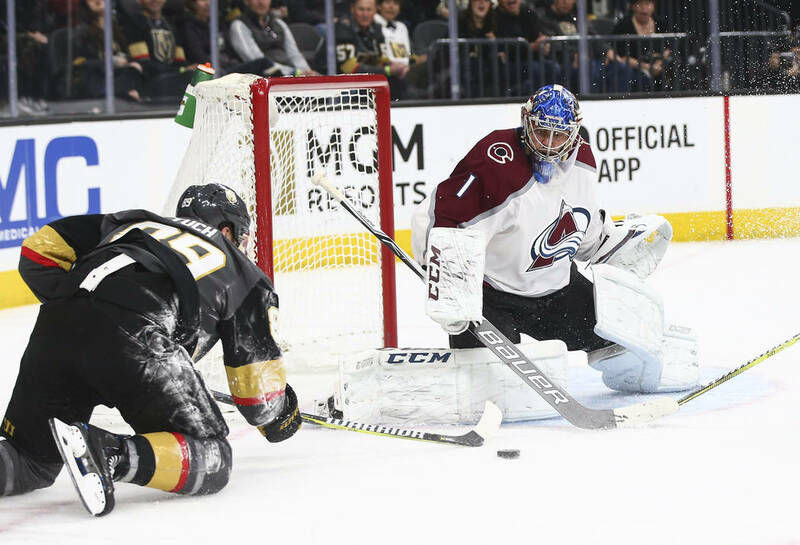 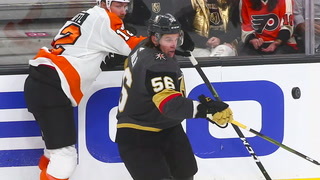 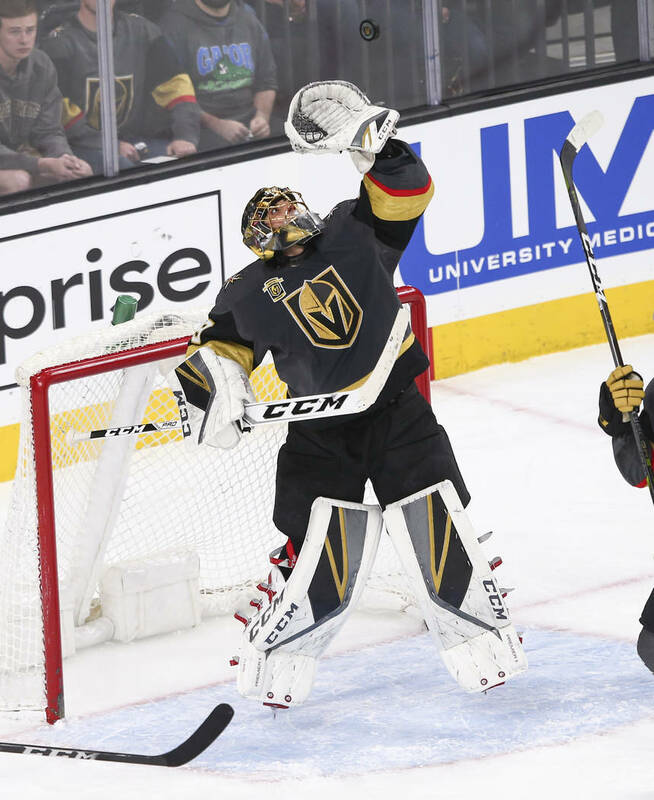 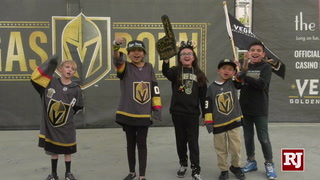 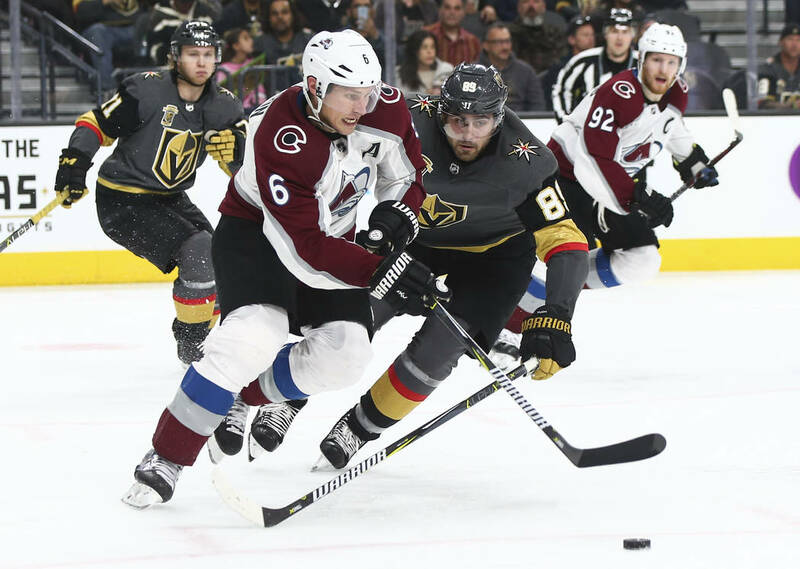 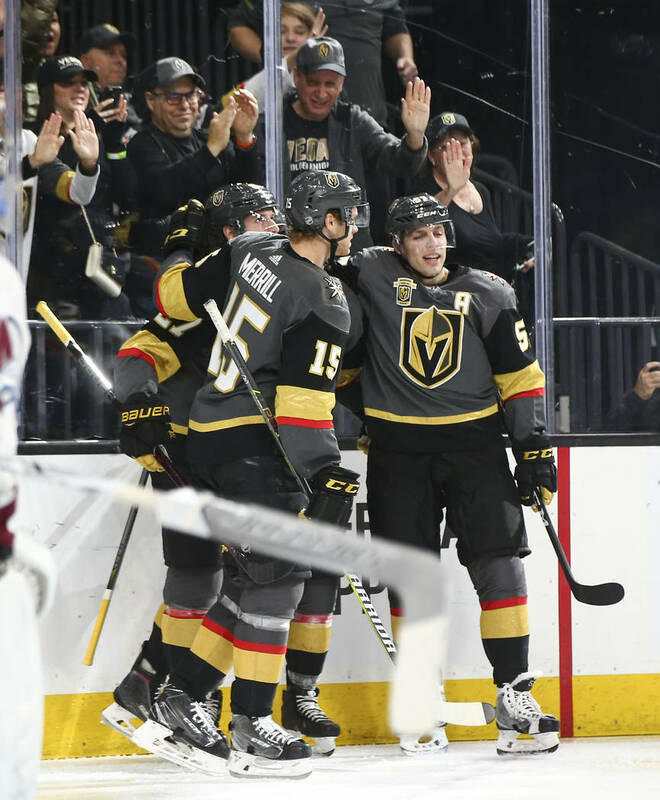 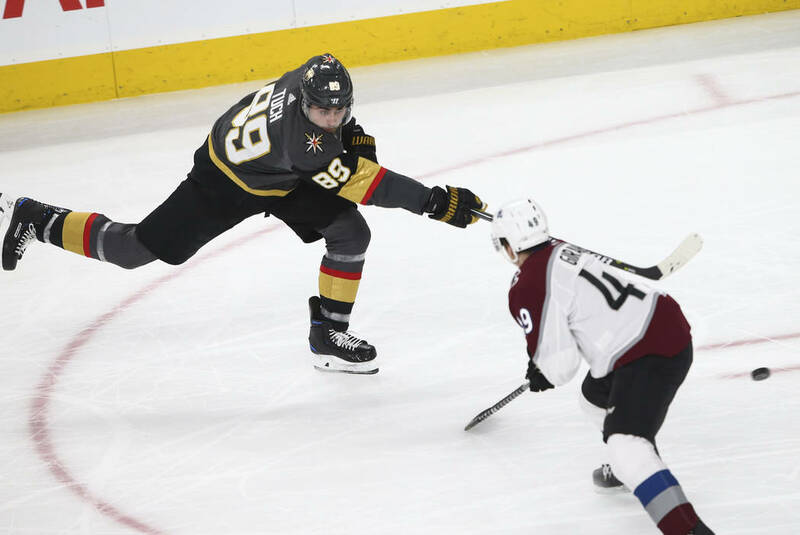 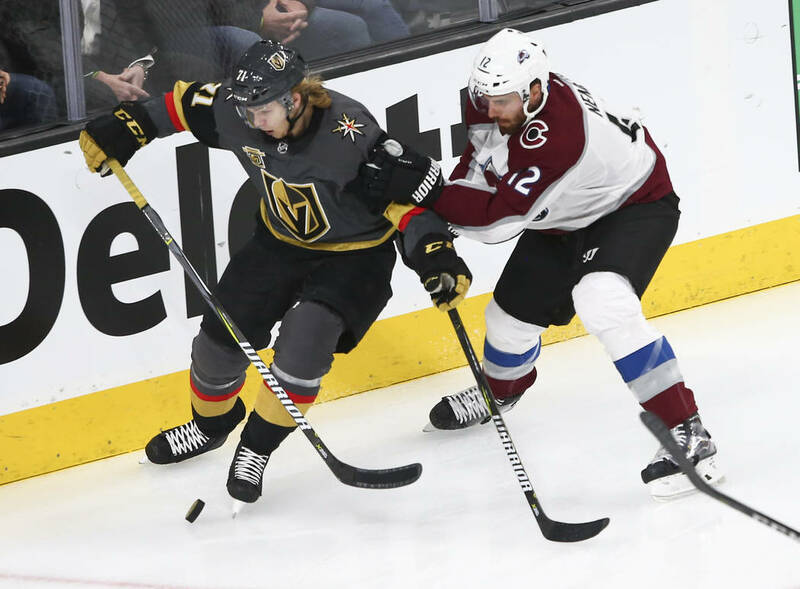 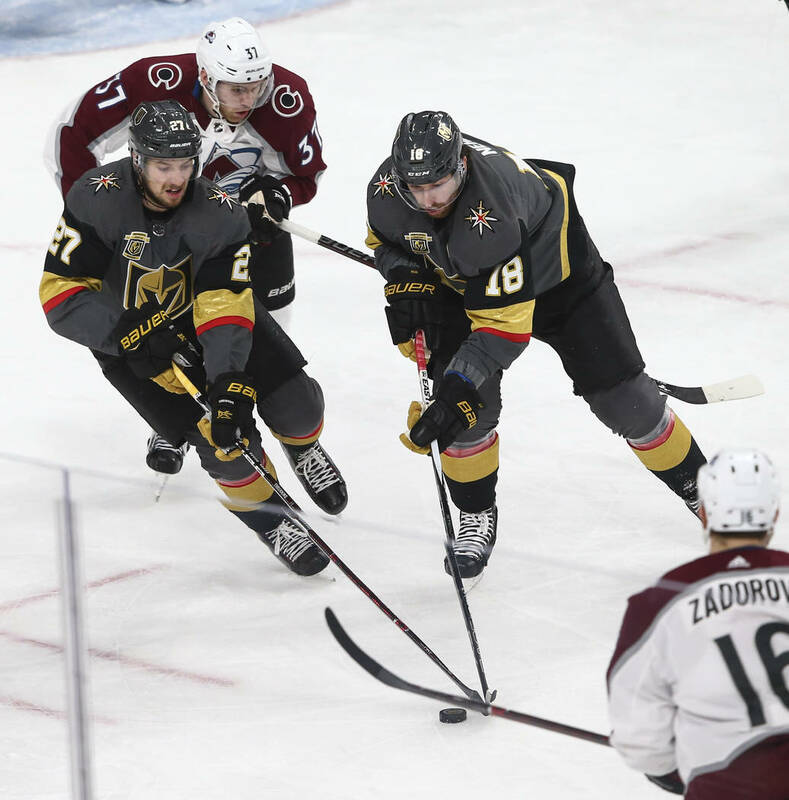 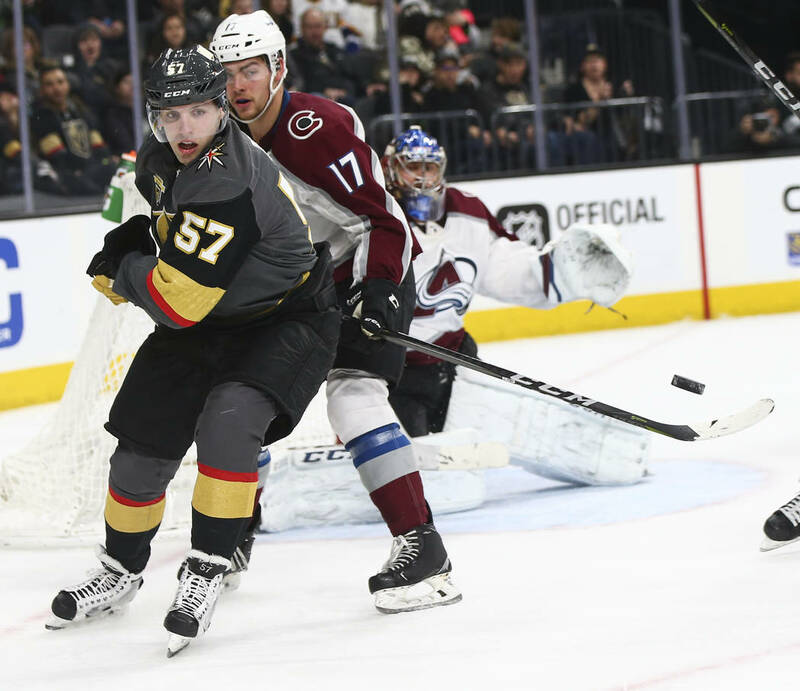 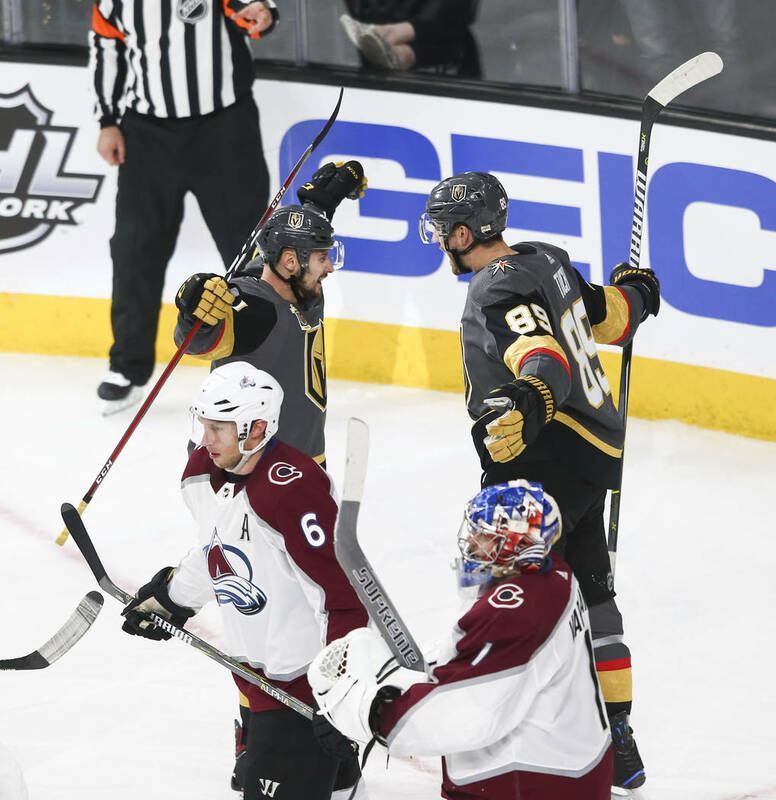 William Karlsson reached the 40-goal mark and added two assists, and the Knights clinched a berth in the postseason with a 4-1 victory over the Colorado Avalanche on Monday at T-Mobile Arena. 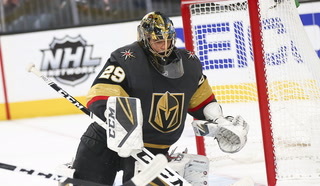 Marc-Andre Fleury had 28 saves for the Knights (48-21-7, 103 points) and tied Grant Fuhr for 11th all time with his 403rd career victory. 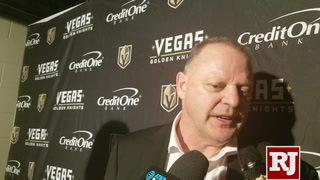 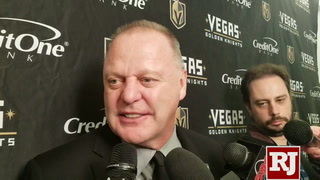 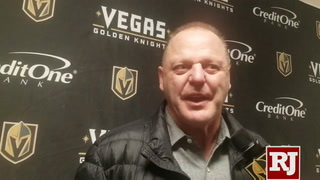 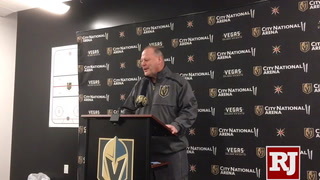 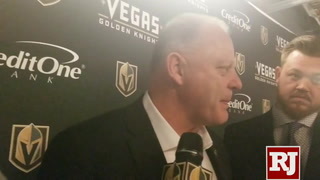 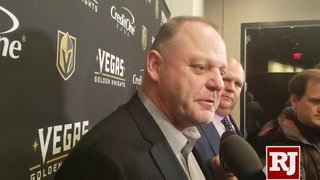 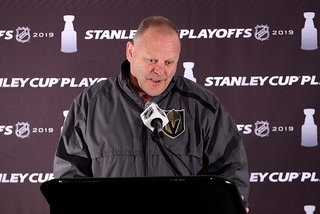 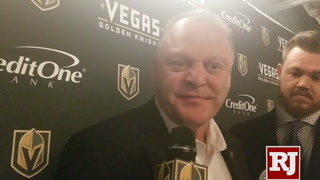 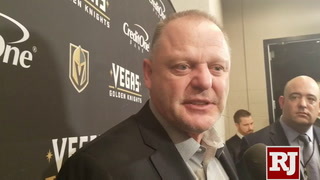 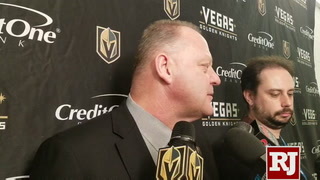 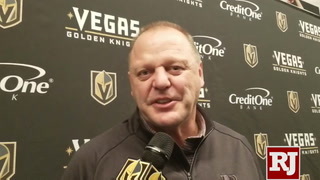 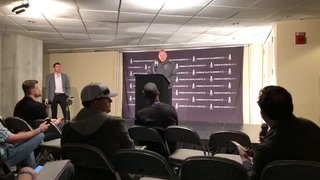 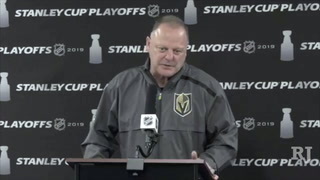 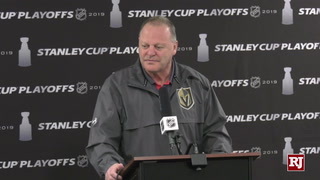 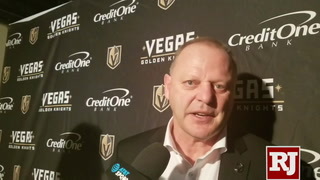 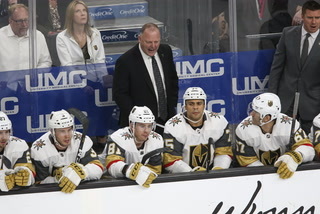 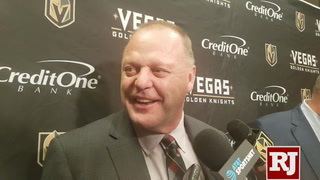 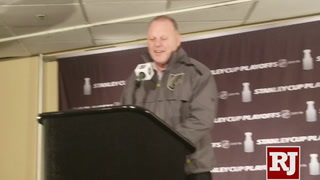 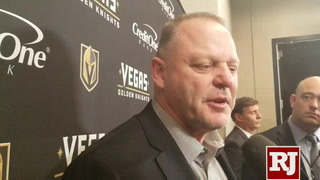 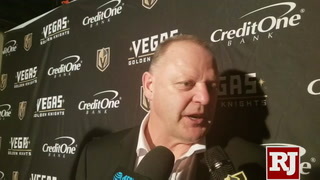 It also was the 200th career victory for Knights coach Gerard Gallant. 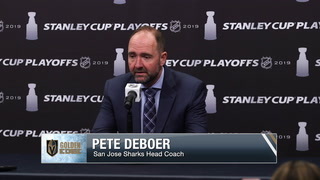 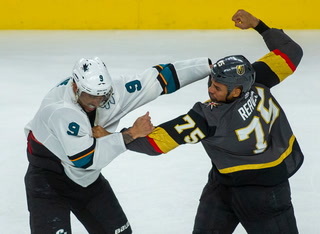 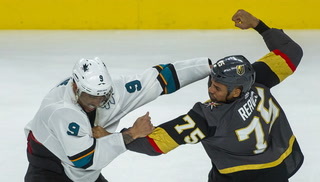 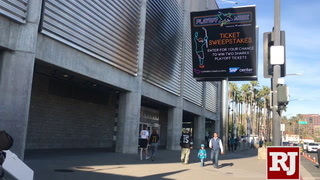 Along with putting an X next to their name in the standings, the Knights maintained their six-point lead over San Jose in the Pacific Division with six games remaining. 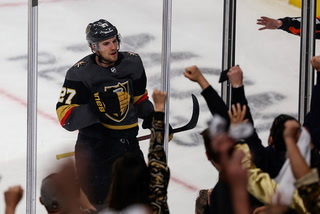 Jonathan Marchessault finished with a goal and two assists, and Shea Theodore added a goal and an assist. 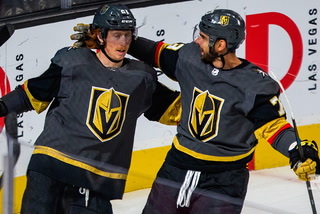 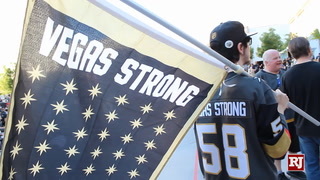 Alex Tuch also scored for the Knights. 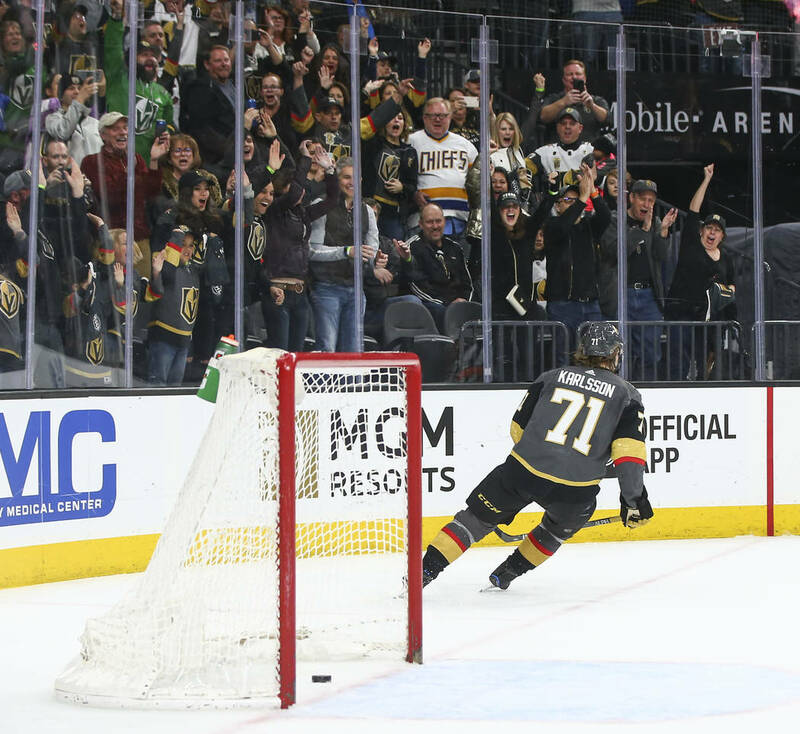 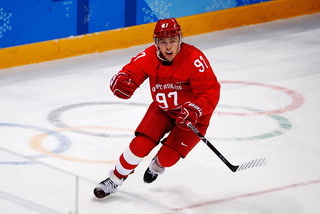 Karlsson became the 10th Swedish-born player to reach 40 goals when he scored into an empty net with 15.4 seconds remaining. 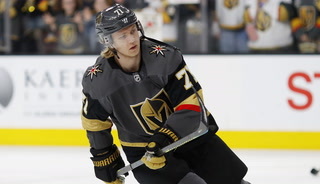 Karlsson is fourth in the league in goals behind Washington’s Alex Ovechkin, Winnipeg’s Patrik Laine and Evgeni Malkin of Pittsburgh. 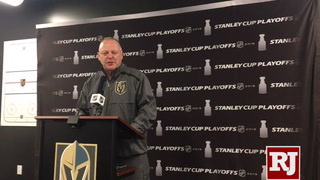 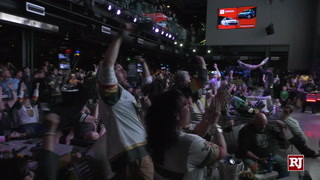 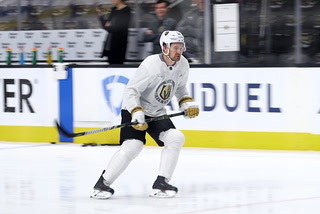 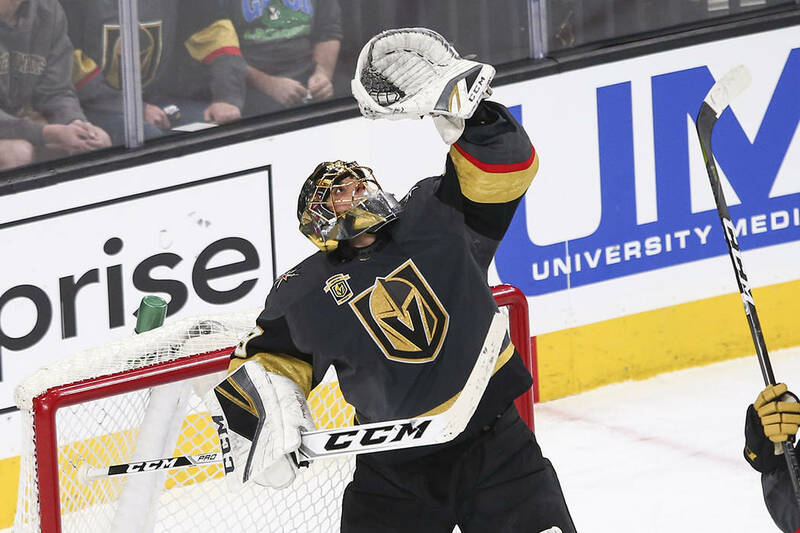 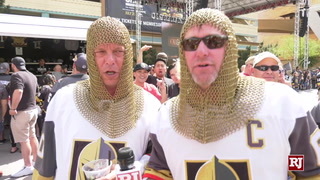 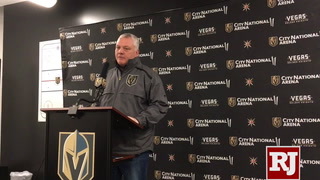 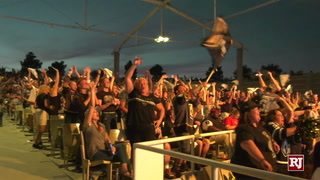 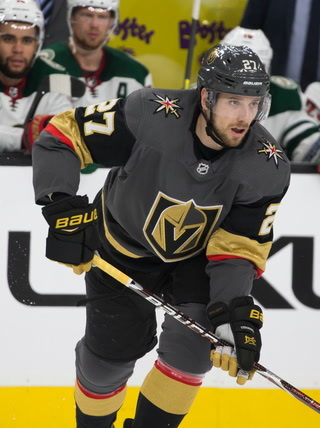 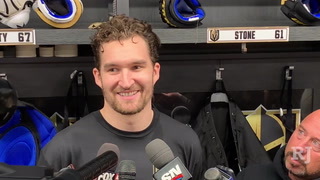 The Knights had a chance to lock up a playoff berth Saturday at Colorado and would have clinched with an Anaheim loss Sunday at Edmonton. 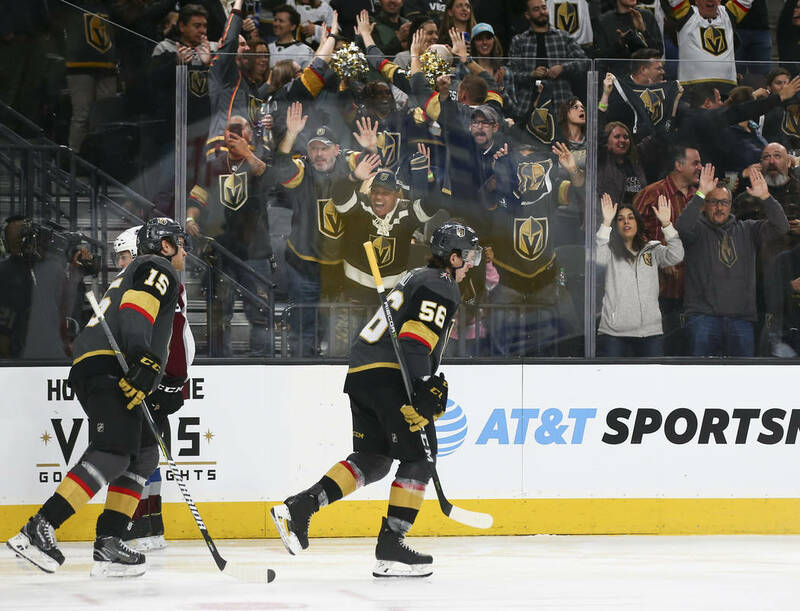 Instead, they took care of business in front of an announced crowd of 18,326 and used their red-hot power play to get it done. 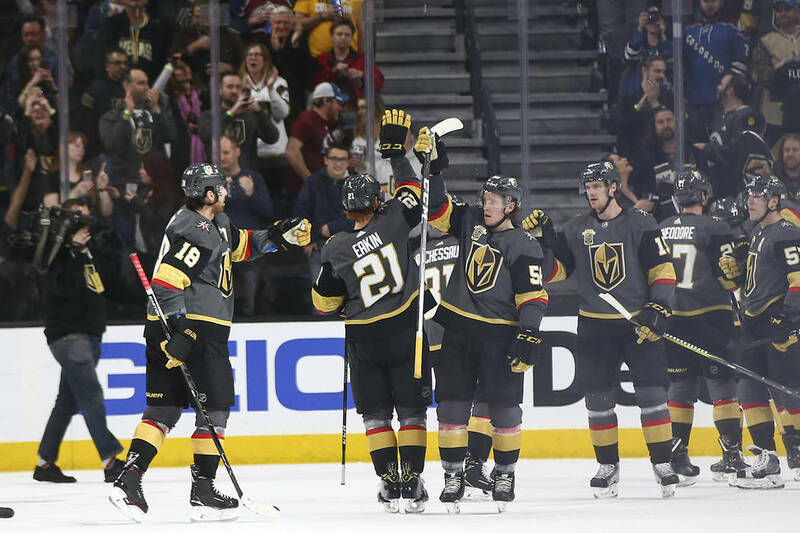 The Knights went 2-for-4 with the man advantage and are clicking at a league-best 31.0 percent (26-for-84) since Jan. 21. 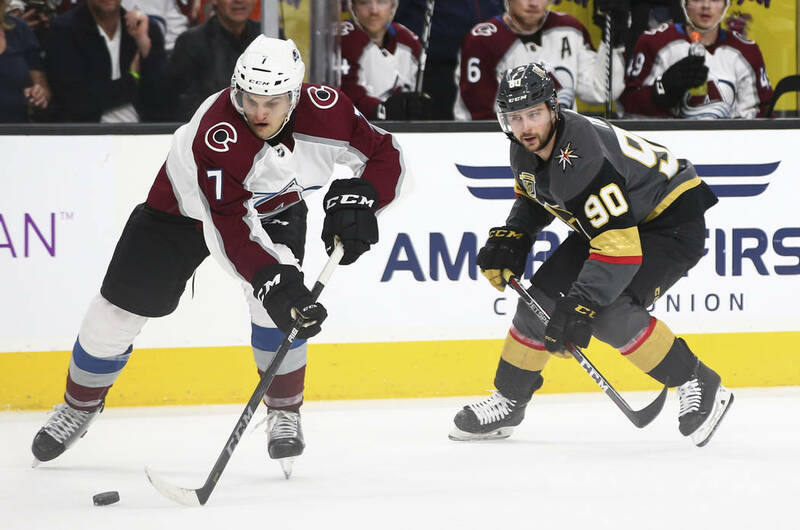 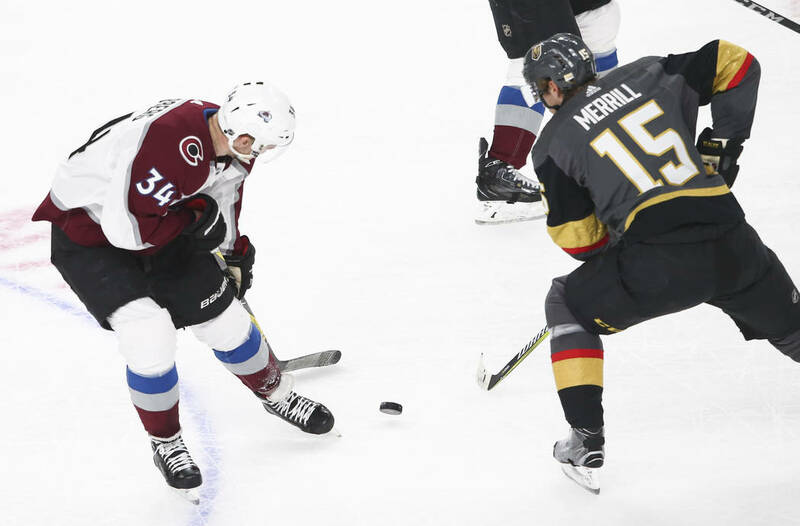 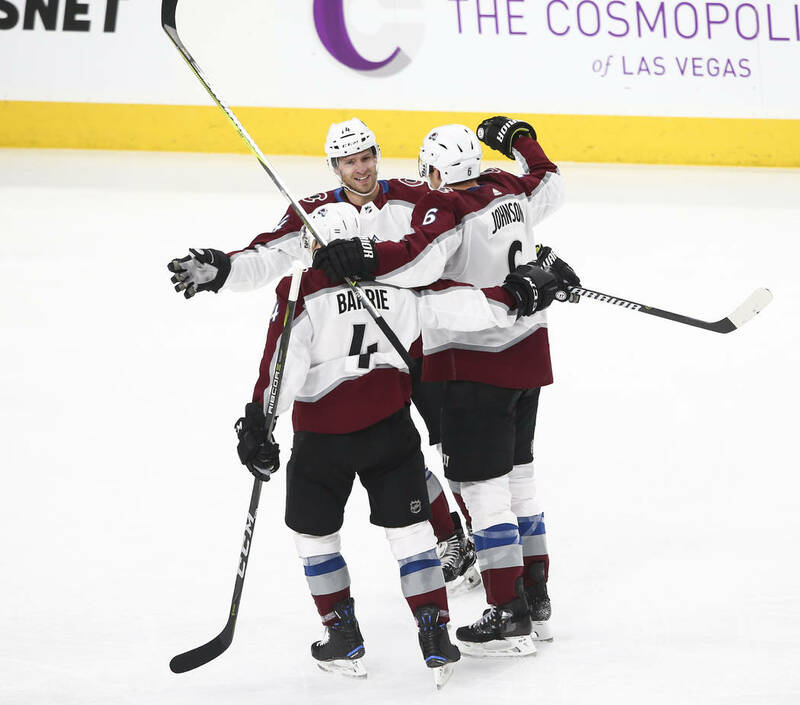 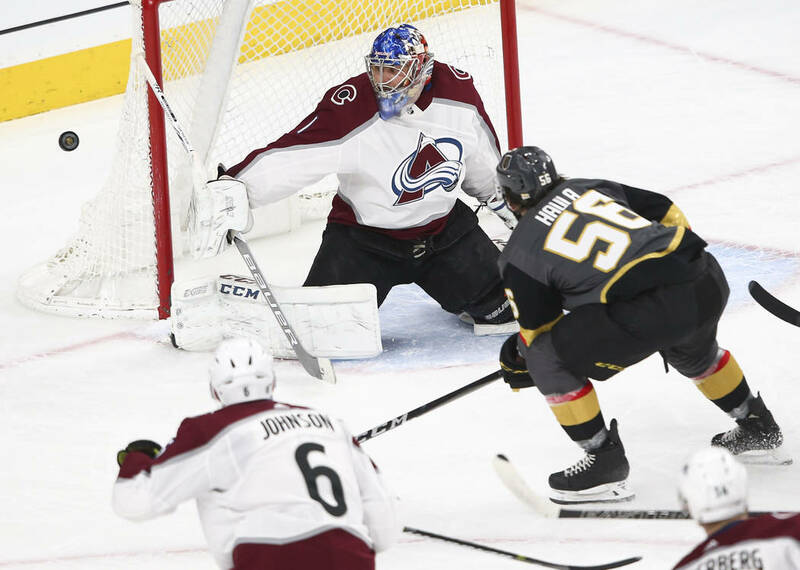 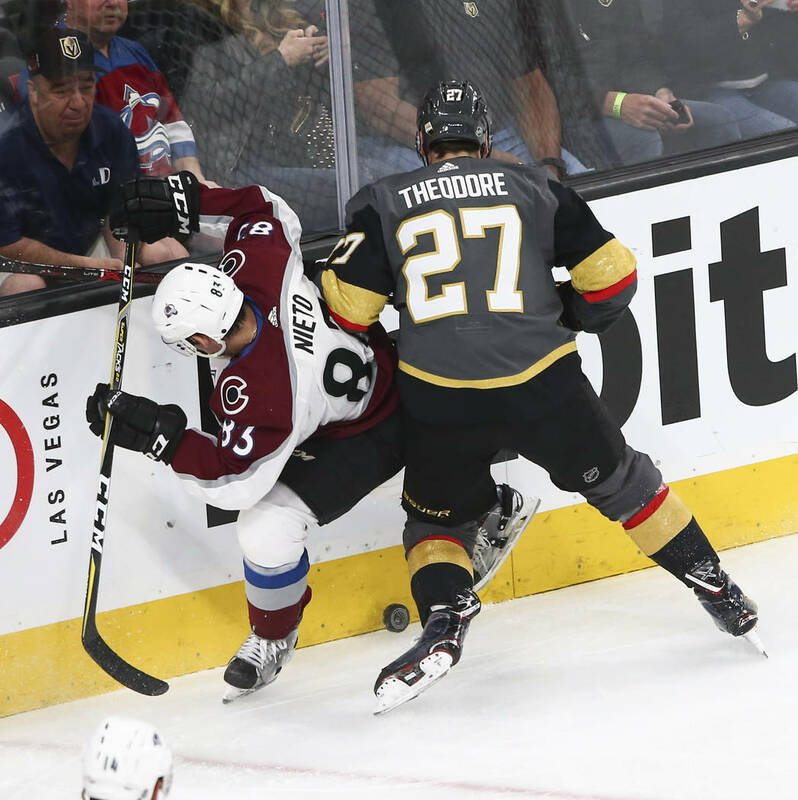 Colorado’s Tyson Jost was assessed a double-minor for high-sticking Pierre-Edouard Bellemare during a faceoff after the Avalanche tied the game at 1 on Erik Johnson’s second-period goal. 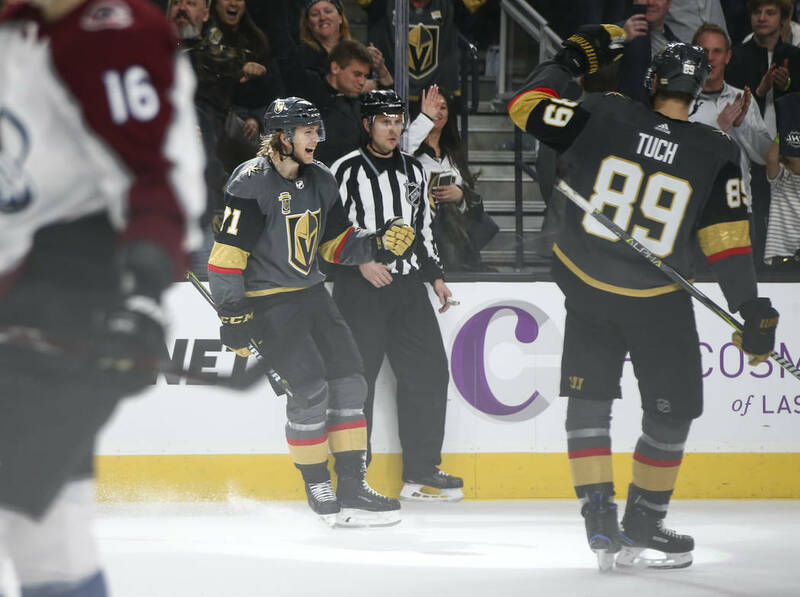 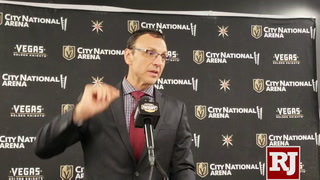 Marchessault didn’t need long to capitalize, as he used a screen from Tuch and snapped a laser from the right faceoff dot past Colorado goaltender Semyon Varlamov for his 25th of the season with 5:44 left in the second period. 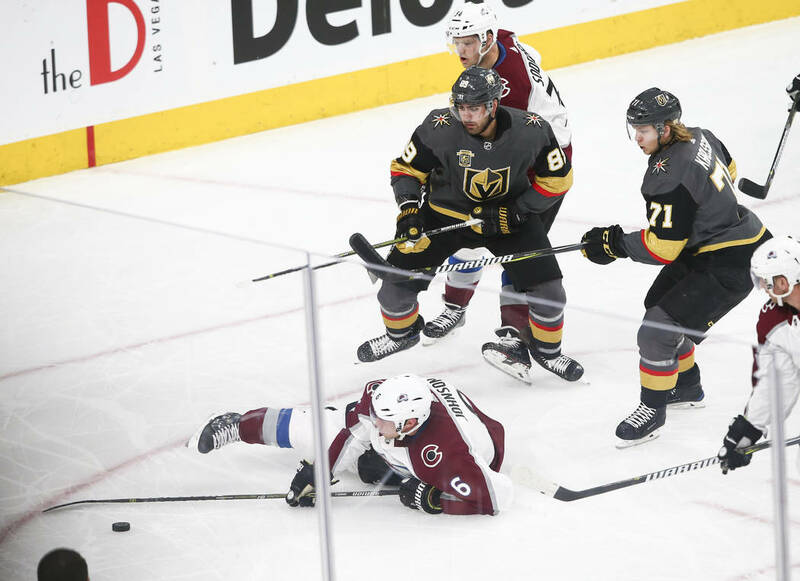 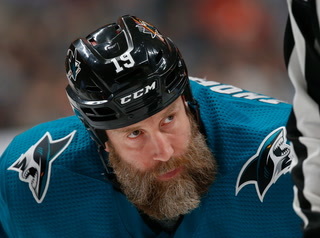 The Knights went ahead 1-0 at 4:14 of the second, wasting no time after Colorado was assessed a penalty for too many men on the ice. 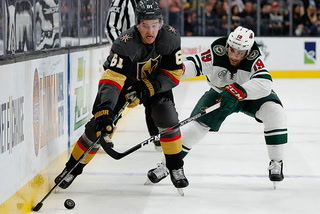 Marchessault’s drive was blocked and Karlsson fouled off the rebound as he tried to swat it out of the air. 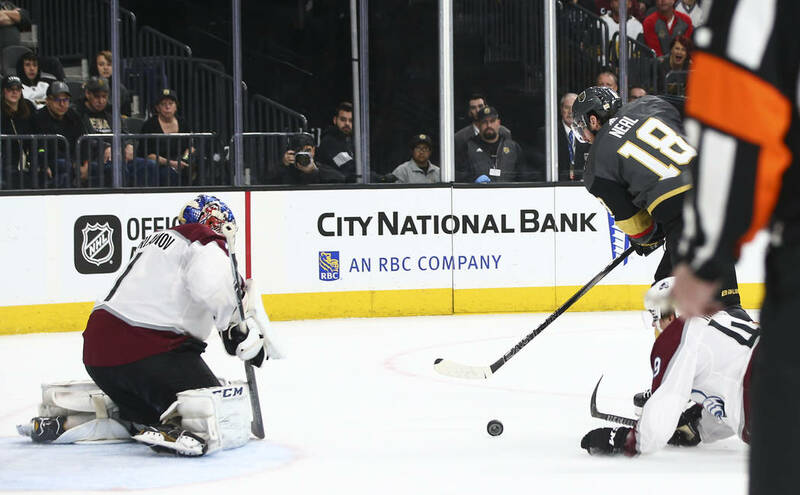 But the puck fell to Tuch in front of the net and he buried it for his 14th goal of the season and first since March 8 at Detroit.